The annual joint Norwegian, Russian environmental mapping of the Barents Sea is considered crucial for the understanding of ongoing major environmental change. But this year, the Russian marine researchers did not get the technical resources needed to do their part. It was the 34 year old vessel «Vilnyus» that put a stop to the Russian researchers’ ecosystem mapping. The ship, which is operated by the Murmansk-based fishery research institute Pinro, experienced a series of technical problems that resulted in a major setback in data collection. According to the researchers, major parts of the Russian research area were not mapped because of the ship problem. «We unfortunately did not manage to carry out all that we had planned to do because we have such an old ship,» researcher from Pinro, Dmitry Prozorkevich says in a video distributed by the Norwegian Marine Research Institute. «We had problems with the wire machines and there are no spare parts to be found,» Prozorkevich makes clear. Especially the southern and southeastern parts of the Barents Sea were not mapped as planned. «This means that we are not getting a complete picture on stocks of cod, haddock and herring,» says Georg Skaret, marine researcher from the Norwegian Marine Research Institute. The Russian researchers from Murmansk do not believe they will get another vessel for next year’s ecosystem mapping and argue that the Norwegian ships then should be allowed into Russian waters. «For the future, I see only one solution - and that is a bigger participation of the Norwegian vessels. After all, they have the opportunity to cover also the Russian zone,» Prozorkevich says. «If we are to continue this kind of research in the future,» he adds. The comprehensive annual Barents Sea ecosystem mapping has been going on for 14 years, and researchers see big and rapid change. 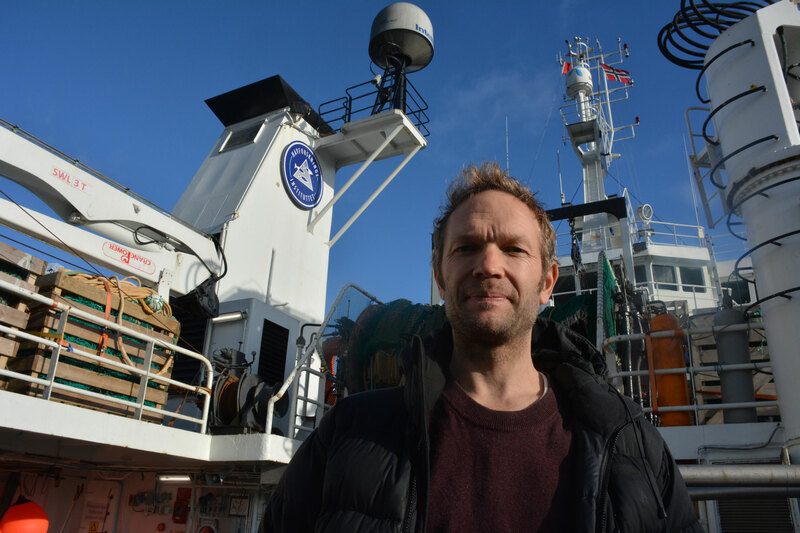 «It is both surprising and dramatic that we are making these findings», Norwegian marine researcher Georg Skaret told the Barents Observer as research ship «Johan Hjort» arrived back in port after weeks at sea. «The Barents Sea is about to become far less Arctic,» the researcher underlined and described the ongoing ecosystem changes as «dramatic». The joint Barents Sea expeditions are considered among the world’s most comprehensive mapping of its kind. All parts of the sea are studied, from the bottom to the top. Research measurements are made on several hundred predefined points all over the area, from the coastal waters along Finnmark and the Kola Peninsula to the ice edge up to 80 degrees north. A big number of marine species are mapped, water samples and sediment tests are taken and also pollution tests and micro plastic tests are made. Like the previous years, there has been three Norwegian and one Russian marine research vessels engaged in the environmental mapping. The data collected during the expeditions are of key importance for the recommendations subsequently discussed at the Joint Norwegian-Russian Fishery Commission, the annual top fisheries meeting between the two countries. Last year, the findings of the researchers were instrumental for the reopening of catch on capelin, the species that for years had been on a historical low. The Norwegian-Russian Fishery Commission also set the cod quotas for the region.